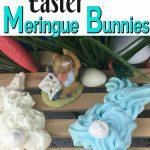 A trip to the dollar store, grab your glue gun and let the fun begin! This Valentine’s Day Popsicle Stick Vase is a very easy Valentine’s Day craft for kids or adults! Who doesn’t love the dollar store for Valentine’s Day crafts? 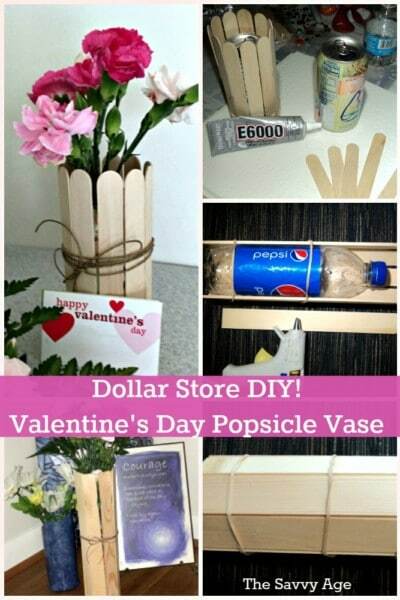 Recycle your cans and bottles into homemade vases perfect for those Valentine’s Day flowers! 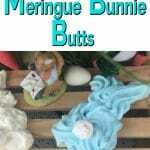 If you do not have access to a dollar store, the different types of craft and Popsicle sticks can be found here. 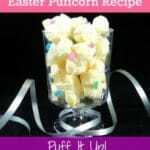 It could not be easier to make this Valentine’s Day craft and is this is an easy and quick Valentine’s Day craft for kids! Make sure your recycled can or vase is free of liquid and rinsed out with soap and water. 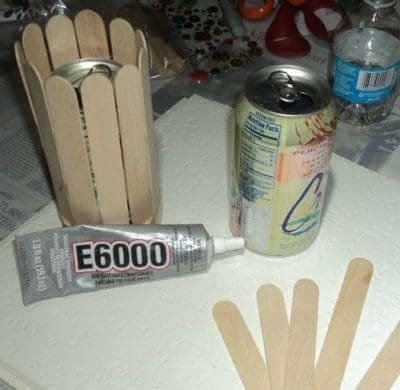 Choose your craft or popsicle sticks. Each popsicle stick vase will take between 7 and 12 sticks depending upon the circumference of the bottle or can. Lay the container on its’ side. Generously apply glue to the stick. Position the first stick on the container. 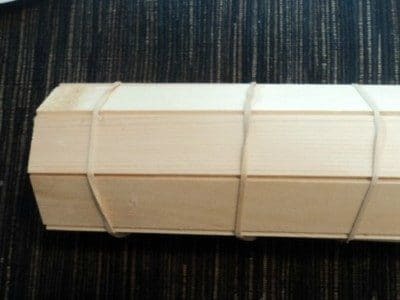 Wrap two rubber bands around the stick and container to hold the stick in place. I place the first rubber band toward the bottom of the container and the second rubber band around the middle. Add the second stick next to the first stick by lifting up the bottom rubber band and sliding the stick underneath. Do the same for the second rubber band. After the vase is complete I add a third rubber band around the container to help the glue set. Let the glue set for a minimum of an hour, but the sticks will more than likely be adhered within 10 minutes. 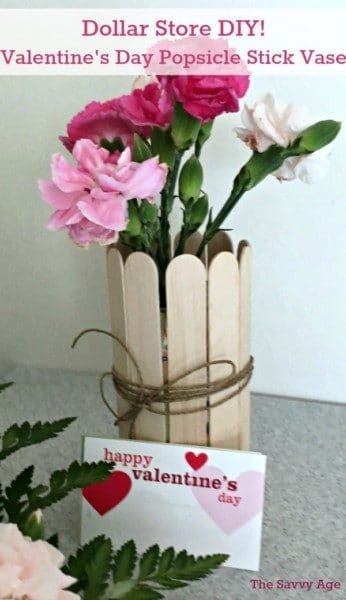 TIP: If you have an extra set of hands this Valentine’s Day Popsicle Stick Vase can be made in less than 10 minutes! How easy is that! 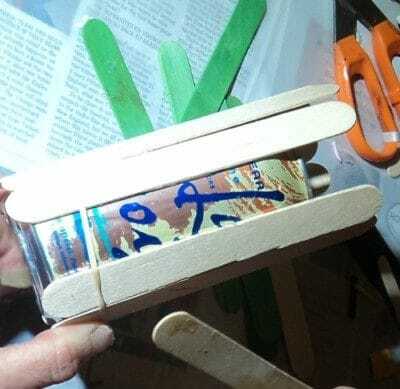 A second set of hands is helpful as one person will add the glue to each stick and the second person will position the stick on the bottle and under the rubber bands. Both forms of glue work. I have made the popsicle stick vases with Weldbond, E6000 and my trusty glue gun. There is no right or wrong glue. Glue Tip: You do not have to glue the entire length of the stick. Only adhere glue on the stick where the stick will have solid contact with the canister/can/bottle; this is usually the middle to lower part of the vase. If the vase is 8 inches total in height, you may need to only apply glue to 5 inches of the stick. This is a fun version for those who like tall and slim vases. I used a 16 ounce pop bottle and paint sticks to craft this DIY Paint Stick Vase. While I was making a few of the Valentine’s Day Popsicle Stick vase I ventured over to a the stack of paint stirrers and this actually became one of my favorite vases. Learn how to make the Paint Stick Vase here.